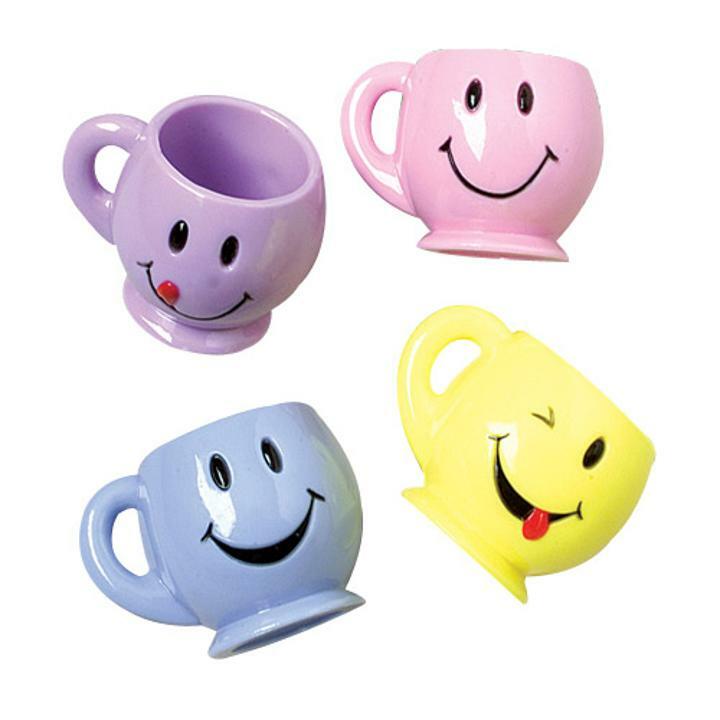 Cheap Smile Face Mini Mugs - 12 Ct.
Great party favor for any event! These smiley face mini mugs have a lot of personality. Each mug is decorated with a fun smiley face. Stock up on all your smiley face party supply needs. We have the favors and costume accessoriess to keep a smile on your guests at your next Smile face event. Keep the smiles coming with our smiling items. L: 5.4 in. W: 1.5 in. H: 7.1 in.